Figure how much to save each month. Is there a better alternative to Nifty Savings Calculator? Is Nifty Savings Calculator really the best app in Finance category? Will Nifty Savings Calculator work good on macOS 10.13.4? Use the Nifty Savings Calculator to figure how much to save each month to reach your financial goal. 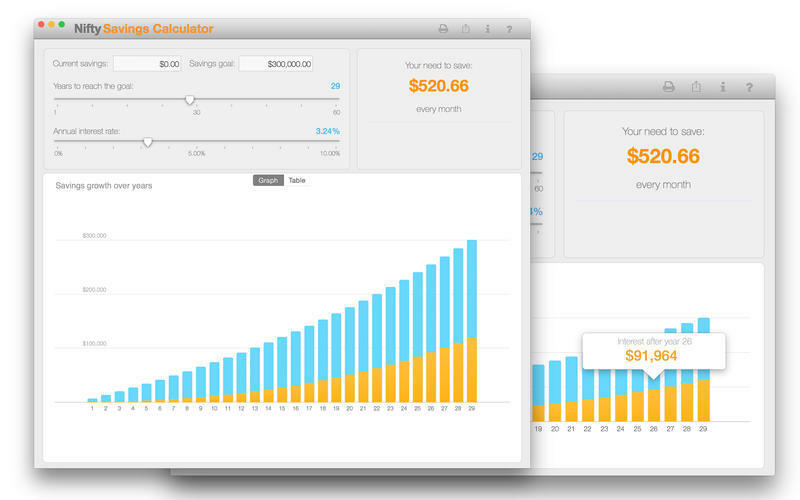 Simply input your current savings, savings goal, number of years to reach your goal and the annual interest rate (return on investment) you expect your savings to grow at. 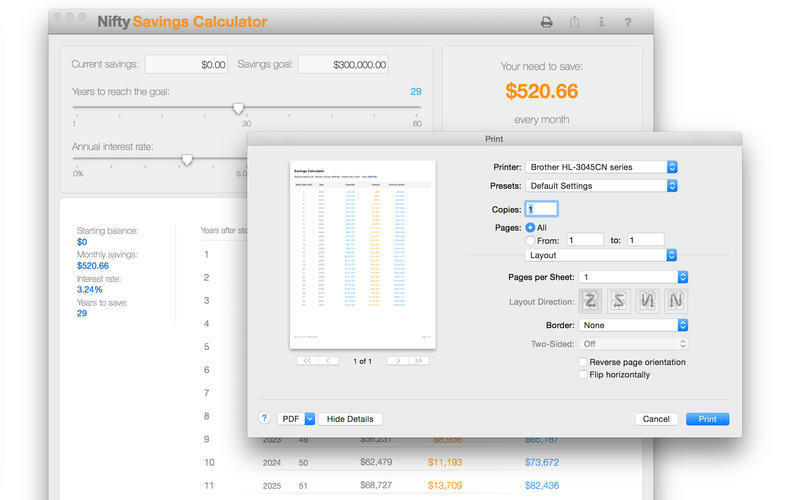 The calculator will tell you how much you need to save each month. 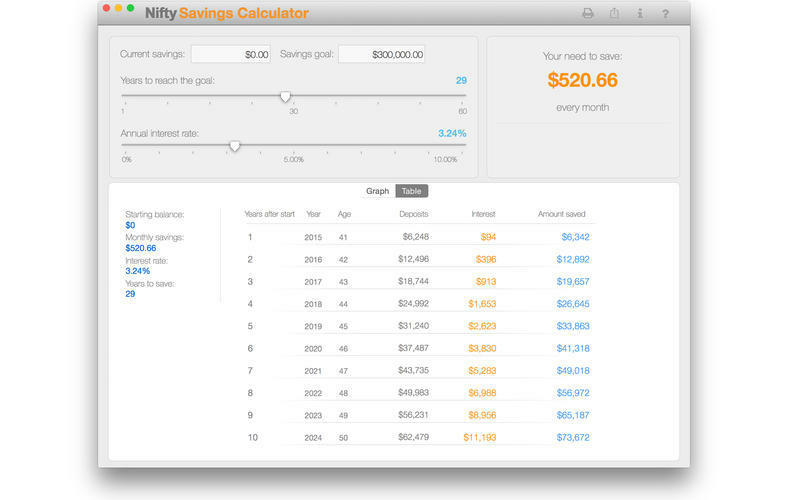 Nifty Savings Calculator needs a review. Be the first to review this app and get the discussion started! Nifty Savings Calculator needs a rating. Be the first to rate this app and get the discussion started!